Any village, every country and every religion has its own wedding traditions, especially if we focus on places and people with a long history, and, still now, in 2017, when many family tradition have been lost, wedding ceremonies and prelude moments to the big day resist strongly to innovation and globalisation, not only in small communities but also in towns and cities. An interesting article appeared on the National Geographic magazine offers us a nice reportage of long lasting wedding traditions picked all over the world. 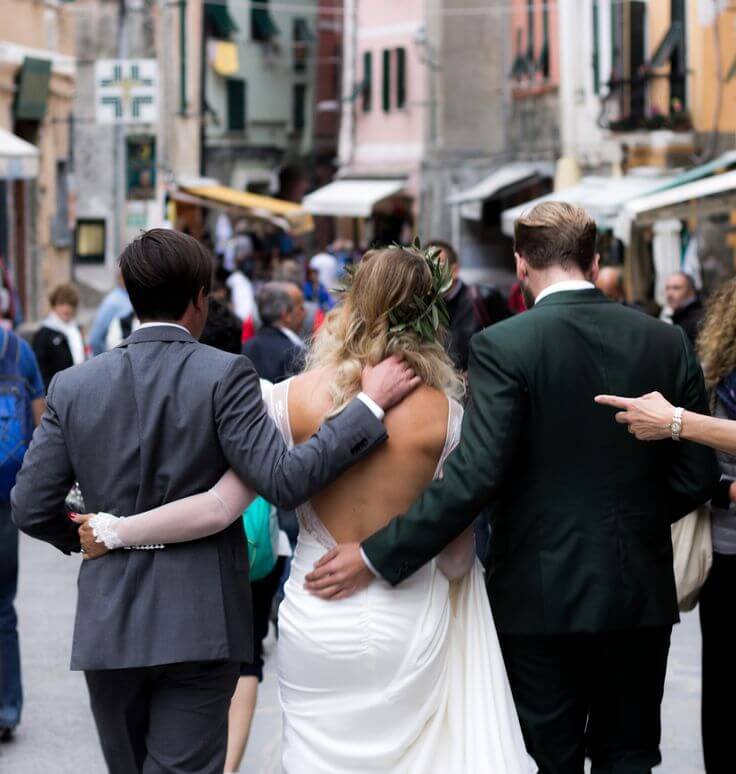 In Vernazza, for instance, every wedding is the opportunity to show happiness and wealth of the family on that special occasion. So, once the religious or civil rite is done, the wedding couple triumphantly proceeds along the villages streets and reaches a well positioned balcony. And the “BENEDIGA” tradition begins for the happiness of all the citizens and tourists that happen to be there, under that balcony. Bride and groom make their appearance on the balcony and throw huge amounts of candies and confetti on the people, a sweet shower that delights mostly old people and children. …and “fight” for the biggest loot bag begins! The fiercest and toughest to be defeated in getting candies are the elderly, their experience on hundreds of “benediga” make them wise and fast in putting aside the youngest ones and collect heavy bags full of candies and confetti! Benediga tradition extends even to Christening ceremonies, when the happy parents or godparents proudly show to all the village the newborn! The origin of Benediga for weddings and Christenings come probably from the need of new families to get approval and good wishes from the community. (An event as la benediga gives real expression of the sense of belonging to a community, it points out the liturgy that identifies the community itself and gathers it around an event saluted and blessed by its people, that collect, this way, its misterious, ancient and deep meaning”). Now, Benediga shows keep on going on in Vernazza and almost every week visitors have the opportunity for enjoying this funny and peculiar event. So keep your eyes up and bring an empty bag with you when visiting Vernazza next time. It might be your “Benediga” time! 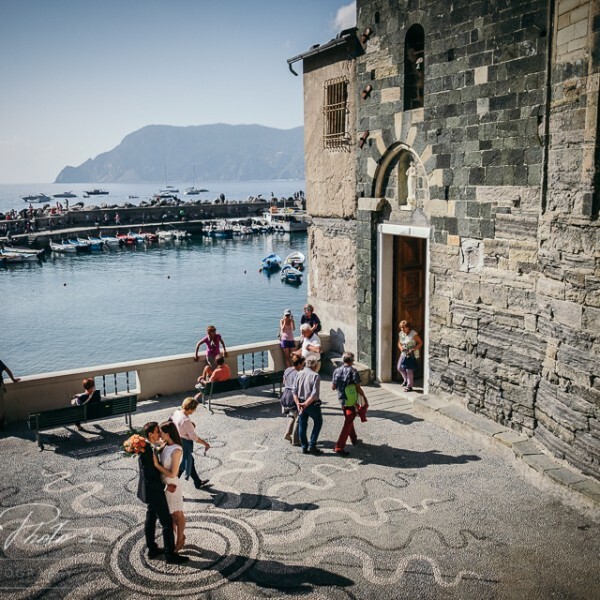 And all couples, even foreign ones, wishing to get married in Vernazza could benefit of this tradition and become part of the village community forever!